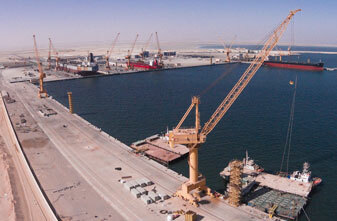 Yahya bin Said al- Jabri, Chairman of the Special Economic Zone Authority in Duqm (SEZAD) issued a decision issuing the regulations that regularize granting tax exemption in SEZD. The decision comes into force from today. As per the regulations, the projects should be registered with the Commercial Registration of SEZD as per the project registration by law issued by SEZAD. Projects that meet requirements will be exempted from income tax for thirty years or for the term of the lease or usufruct agreement, whichever is earlier. The exemption starts from the date of starting businesses and meeting all the legal requirements for exemption. The exemption may be renewed as per the terms shown in these rules. This exemption does not apply to banks, financial institutions, insurance, reinsurance, telecommunications services and land transport companies unless registered with SEZAD and doing their businesses permanently inside SEZD. The exemption is limited to the income generated by the project from the licensed activities in SEZD only and not the businesses done outside SEZD. As per the rules, the Minister Responsible for Financial Affairs, upon a request from SEZAD or the Secretariat General of Taxation can halt the exemption for a temporary period till submitting the documents shown in these regulations. He may also withdraw the exemption decision and deem it null if it was found that it was based on untrue reasons. The exemption decision will be deemed canceled from the date it was found that the project is not doing its activities inside SEZD regularly or no longer meets any of the legal requirements for exemption.